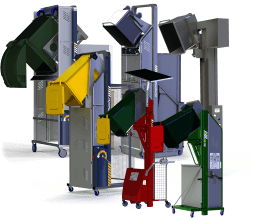 Simpro offers a range of innovative materials handling equipment for waste management, food processing, logistics and manufacturing. 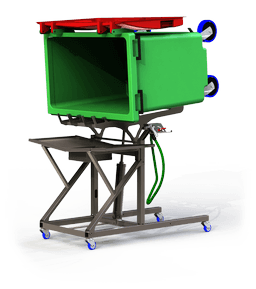 Simpro produces a range of handling equipment to allow the ergonomic, efficient and hygienic cleaning of common waste, recycling and ingredient bins. 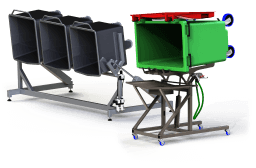 The User Manual for the BinBlaster hydromechanical wheelie bin wash frame from Simpro. 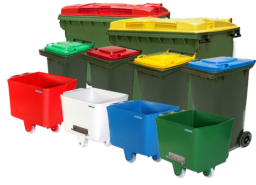 Simpro manufactures a range of products for lifting, stacking and storing bins such as FoodCaps and Eurobins. 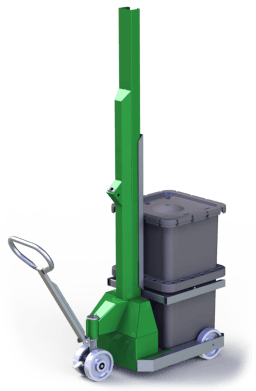 The Microstacker is a tiny semi-electric lifter and stacker from Simpro, with modular lifting arms to suit a range of bins, capsules, crates and rolls. 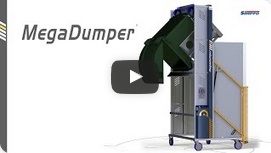 The Simpro Eurostacker is a compact semi-electric bin stacker, with food-grade stainless steel construction and lifting arms to suit common DIN9797 Eurobins. Euroracking is a modular bin racking system from Simpro, which allows ingredient containers such as FoodCaps and Eurobins to be stored in the smallest possible space. 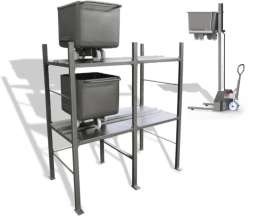 High-quality, trade-certified equipment from Simpro to allow accurate weighing of ingredient bins such as DIN9797 Eurobins and FoodCaps. Euroweigh from Simpro is a precision scale set for ingredient bins, Eurobins and FoodCaps, with stainless steel construction and trade-certified Mettler-Toledo componentry. 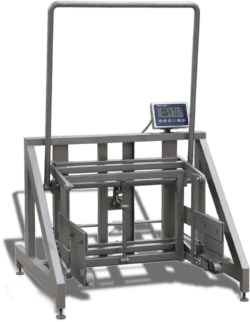 The User Manual for the Mettler-Toledo IND236 terminal fitted to the Euroweigh scaleset from Simpro. 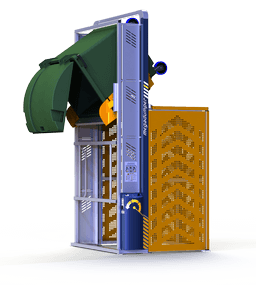 Simpro supplies a range of specialist bins for waste, recycling and food-processing applications – all designed to suit our bin handling equipment. 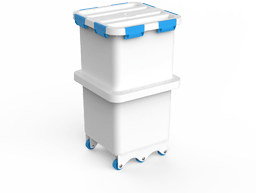 FoodCap® capsules from Simpro are a new mobile ingredient-containment solution – sealable, stackable, shippable, and ideal for the food-processing industry. Brochure for the FoodCap bulk ingredient capsule from Simpro. Handling specifications for the FoodCap bulk ingredient capsule from Simpro. 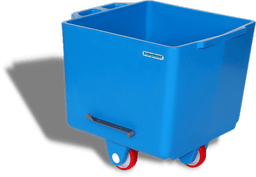 FluroBins from Simpro are robust, colour-coded polyethylene meat carts, compliant with DIN9797 and ideal for hygiene-critical food industry applications. 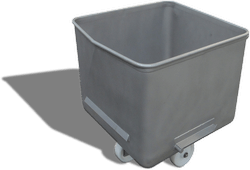 The Simpro Eurobin is the classic stainless steel wheeled meat cart, with hygienic design and large capacity – ideal for the food processing industry. 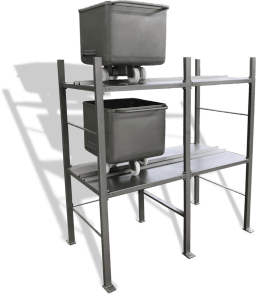 The Simpro MegaBin is an ideal bulk-containment solution for the food processing industry, with a tough design that is easy to handle, store and transport. 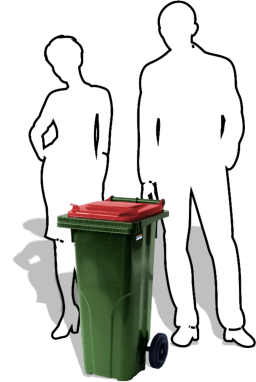 The 80-litre wheelie bin from Simpro has small dimensions and extra-tough UV-stabilised HDPE construction – ideal for low-volume waste collection tasks. 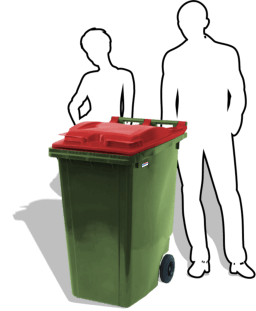 The 120-litre wheelie bin from Simpro is a multi-purpose mid-size mobile waste bin, with a robust grab handle and large wheels for ease of movement. 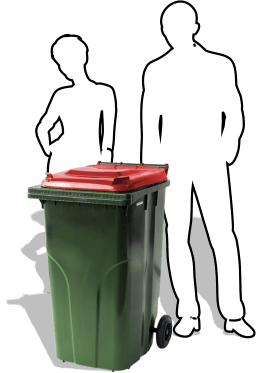 The 240-litre Wheelie Bin from Simpro is the classic mobile garbage bin, used by schools, households and businesses for waste collection and recycling. 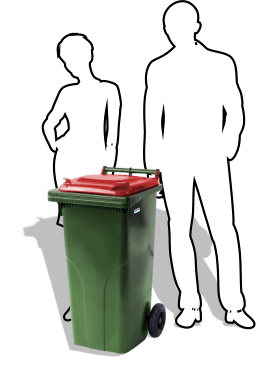 The 360-litre Wheelie Bin from Simpro is our largest two-wheeled mobile garbage bin, with a small footprint but extra volume, ideal for commercial users. 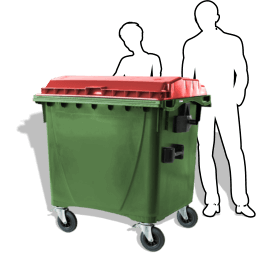 The 660-litre Wheelie Bin from Simpro is a large mobile garbage bin with four castor wheels, grab handles and a robust HDPE body, ideal for commercial waste. 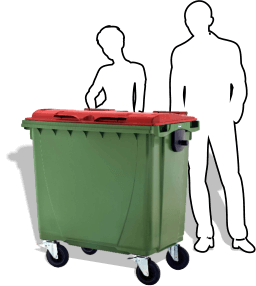 The 1100-litre Wheelie Bin from Simpro is our largest mobile waste bin, with four castor wheels, large grab handles and a robust HDPE body. 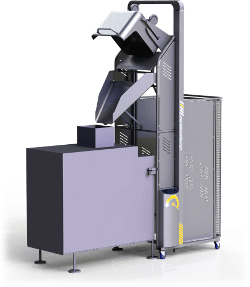 Simpro offers a range of equipment for order-picking and warehouse operations, including the unique vacuum-lift VacuPick. 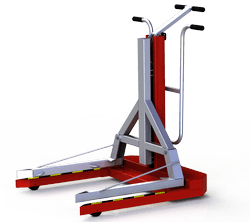 VacuPick is a new vacuum-lift mobile order picker from Simpro, which attaches to a regular fork truck and takes the heavy lifting out of picking orders. The brochure for the VacuPick vacuum-lift mobile order picker from Simpro. 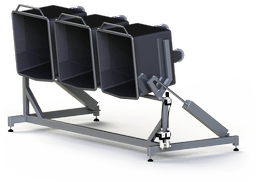 Simpro Quikstak® pallet stackers are built tough for Australasian conditions, and feature the patented MAGIC-EYE height sensor for ergonomic pallet stacking. 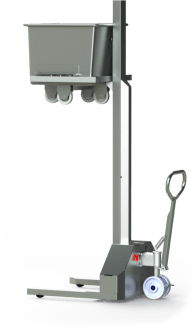 Quikstak® S10 is a semi-electric auto pallet stacker from Simpro, with a capacity of 1000kg and MAGIC-EYE infrared load-height adjustment. 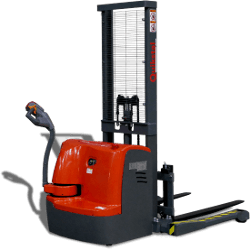 The User Manual for the Quikstak S10 semi-electric pallet stacker from Simpro. 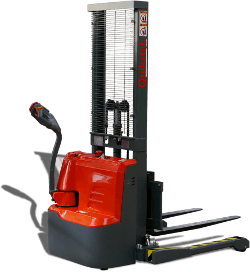 Quikstak® SP10 is a self-drive electric pallet stacker from Simpro that lifts 1000kg to 1.6 metres or more, with MAGIC-EYE infrared load-height adjustment. 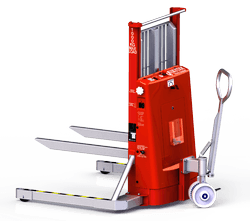 The User Manual for the Quikstak SP10 full-electric pallet stacker from Simpro. 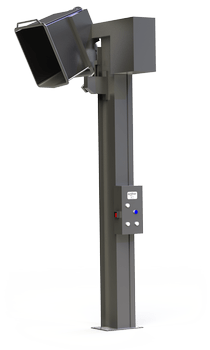 Quikstak® SP15 is a heavy duty self-drive auto pallet stacker from Simpro, with 1500kg capacity, lift heights up to 5.6 metres and MAGIC-EYE height sensing. 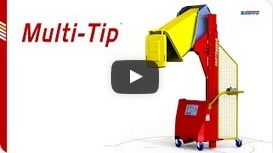 The User Manual for the Quikstak SP15 electric pallet stacker from Simpro. 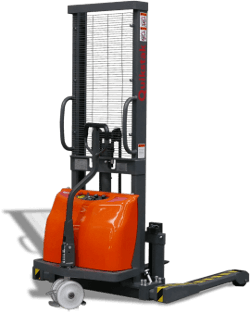 The Quikstak® “smart-stacker” from Simpro is the original auto-levelling pallet stacker with infrared height sensing - now superseded by the Quikstak® S-Series. The brochure for the Quikstak “smart-stacker” auto-levelling pallet stacker from Simpro. The User Manual for the Quikstak “smart-stacker” auto-levelling pallet stacker from Simpro. The Hazard and Risk Assessment for the Quikstak “smart-stacker” auto-levelling pallet stacker from Simpro. The online spare parts list for the Quikstak “smart-stacker” auto-levelling pallet stacker from Simpro. 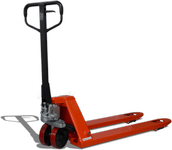 Simpro offers a range of tough and cost-effective pallet jacks, designed for use in logistics, warehousing and food processing. Quiktruk™ E15 is a new powered pallet truck from Simpro, with 1500kg capacity, stepless A/C drive and an exchangeable Li-ion battery for 24/7 operation. 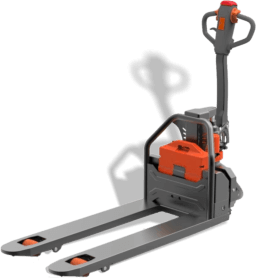 The Quiktruk M15L pallet jack from Simpro has a 1500kg load capacity and low-profile forks, to allow accessing CHEP pallets from any direction. The Quiktruk M25 is a robust warehouse pallet jack from Simpro, with a 2500kg load capacity and high-speed dual-mode hydraulic pump. Quiktruk M25S is a stainless steel pallet jack from Simpro, with a lifting capacity of 2500kg and an easy-to-clean polished finish. 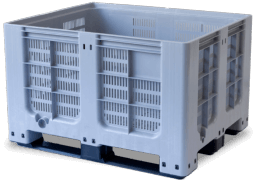 Simpro manufactures handling equipment for 48L plastic bread-crates as used in the food-processing industry. 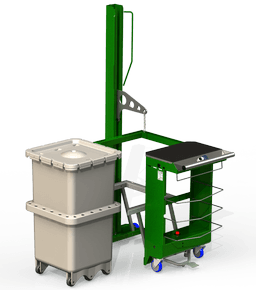 Crate Wizard™ is a semi-electric crate stacker from Simpro, with unique clamping arms that allow it to lift, move, stack and load plastic bread-crates. 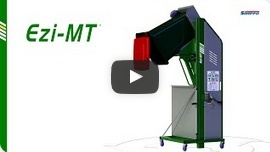 The User Manual for the Crate Wizard semi-electric bread-crate stacker from Simpro. 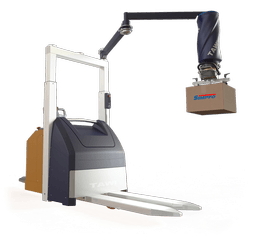 The Crate Genie™ from Simpro is a materials-handling truck specifically designed for moving 48-litre bread-crates, as used in the food processing industry. 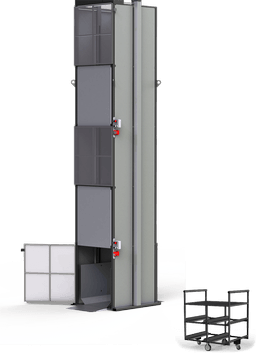 Simpro produces a range of hydraulic goods lifts and dumbwaiters for industrial applications – ideal for transferring bulk materials across production levels. 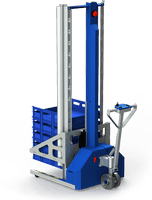 Hylifta™ is a cost-effective industrial goods lift from Simpro, with hydraulic operation, lifting capacity of up to 600kg and no requirement for a floor pit. The User Manual for the Hylifta industrial goods lift from Simpro. 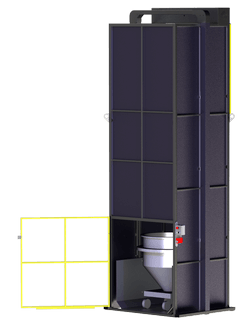 Eurovator™ is a food-grade stainless steel goods lift from Simpro, which provides a safe method of moving hygiene-critical bulk materials between floors. 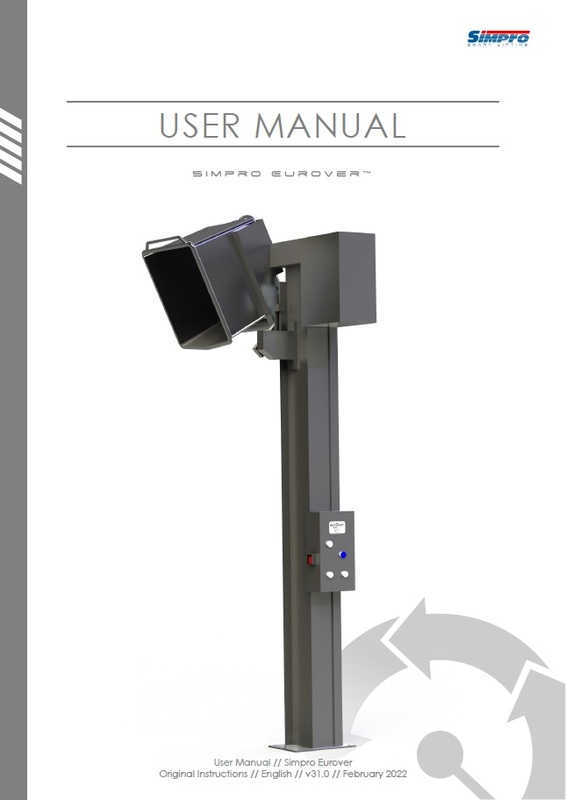 The User Manual for the Eurovator stainless steel goods lift from Simpro. Simpro has thirty years' experience designing and manufacturing handling equipment to suit our customers' unique requirements. The FoodCap Retail Unloader is a hydraulic machine from Simpro which unpacks meat stored in FoodCap capsules; it is designed for retail stores and butcheries. The User Manual for the FoodCap Retail Unloader from Simpro. 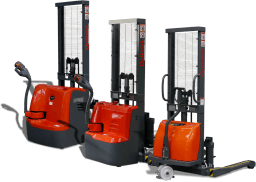 The catalogue of Simpro materials handling equipment for logistics and manufacturing, including Quikstak pallet stackers and Quiktruk pallet jacks.